The Florida Charter School Alliance is the leading non-profit organization that’s 100% committed to supporting and advocating for the charter school movement in the Sunshine State. Our team works closely with school leaders, governing board members, teachers, and parents to promote charter school growth and success, and help our member schools resolve critical issues. Our team is the one schools call when they are dealing with a media crisis. We also help implement successful student recruitment campaigns, craft turn-around plans for struggling schools, offer a comprehensive teacher/principal evaluation tool, provide teacher recruitment assistance, and offer you cost-savings on quality resources and products through our Marketplace partnerships. We lead advocacy efforts in Tallahassee and Washington, D.C. – educating lawmakers about charter school successes and parental choice, and securing support for the movement. We lead districts/charter school mediation efforts, and assist with contract renewals and the application process. Through workshops, we help train parents to be vocal advocates for their school and the charter school movement. Our outreach to media and key decision makers promotes charter school and highlights the vital role charter schools play in Florida’s system of public education. This membership is for groups who are currently developing a charter school (planning groups) and for founding groups / approved applicants whose charter school application has been approved by an authorizer but have not opened their school yet. This membership is for public charter schools that have a contract with their authorizer and are educating students. The membership term is for one year. This membership level is exclusively for vendors, suppliers or consultants that want to reach the Florida charter school market. Renewable each year, this membership runs from January to December. Contact FCSA for fee information. 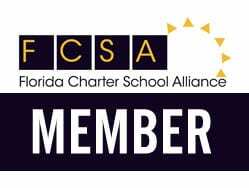 * Membership does not include booth space at the annual Florida Charter School Conference hosted by the Florida Department of Education every fall. Exhibitor information for the state conference is available at www.charterschoolconference.com. Click here for a Marketplace application form or contact Leicha@flcharteralliance.org, 954-881-5792 for information.